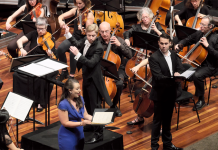 CANBERRA’S Young Music Society is on a roll. 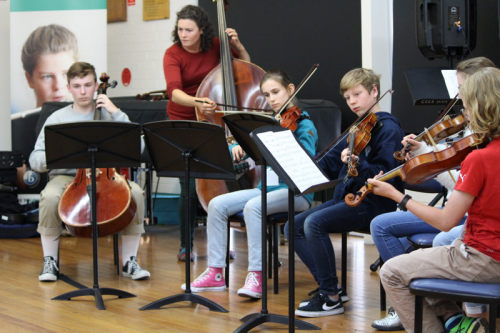 Hot on the heels of its zippy Winter Music School and “Wild Strings” workshops with Holly Downes, Rachel Johnston and Chris Stone, comes news that the Young Music Society is a finalist in the national 2018 Art Music Awards, to be presented on August 21 at Melbourne’s Plaza Ballroom. The category is Award for Excellence in Music Education and it recognises 50 years of community youth music activity from a proud, self-funded, not-for-profit, community-based society that has been inspiring young people for 50 years, especially through its holiday programs and music-instrument hire. 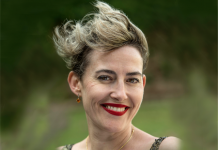 YMS artistic director and general manager, composer Stephen Leek, has been no slouch himself in picking up Art Music Awards in the past, though not for his Canberra work and is, unsurprisingly, convinced that they deserve to get up. But there’s more good news. In a first for the society, they’re soon hosting and billeting a group of top-class young Austrian singers from the choir Hohes C – High C which will, under the baton of Salzburg conductor Moritz Guttmann, perform everything from early Renaissance songs to pop a cappella arrangements. Awarded as World Choir Champion in Latvia the ensemble, a mix of vocal timbres with the lower registers dominating, is well-known to audiences in Mozart’s home town Salzburg and has toured in Canada, South Africa, the Baltic Countries, Finland, Germany and Italy. Leek has used his contacts to help the choir organise concerts in Sydney and Melbourne, too, and says that although it’s away from the normal instrumental focus of the YMS, he was able to argue to his board that it was consistent with the emphasis on offering ACT children the best sort of musical experiences and they said, “let’s do it”. 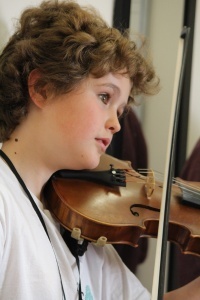 The unique contribution to music education in Australia, he believes, is in the “first experiences” in music and the arts they offer. “We put instruments in the hands of young people and let them explore their range with some of the best teachers possible,” he says. Leek points with some pride to the distinguished YMS alumni. He is one of them, having begun with them at age 15. Another from the old days is the tenor Christopher Lincoln Bogg. Recent visiting music teachers have included Larry Sitsky, Barbara Jane Gilby, Ken Lampl from ANU, virtuosic pianist Sally Greenaway and teachers, Lisa Gill and Christina Refshauge. 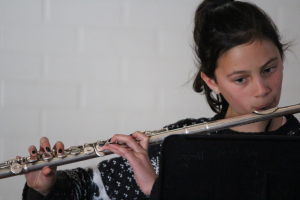 He has observed with enormous pleasure that many present-day parents and grandparents first got to discover music with the YMS, which still tries to offer affordable programs for young people. “We need to find new ways to do what we do,” Leek says. 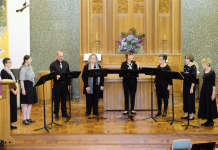 “Hohes C – High C”, All Saints Anglican Church, Ainslie, 7pm, Wednesday, August 15. 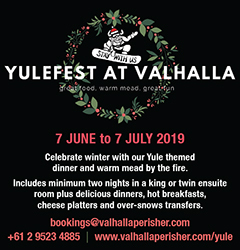 Bookings to 6258 0200 or tickets at the door.